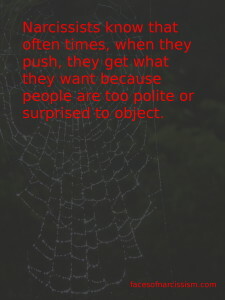 Narcissists know that often times, when they push, they get what they want because people are too polite or surprised to object. 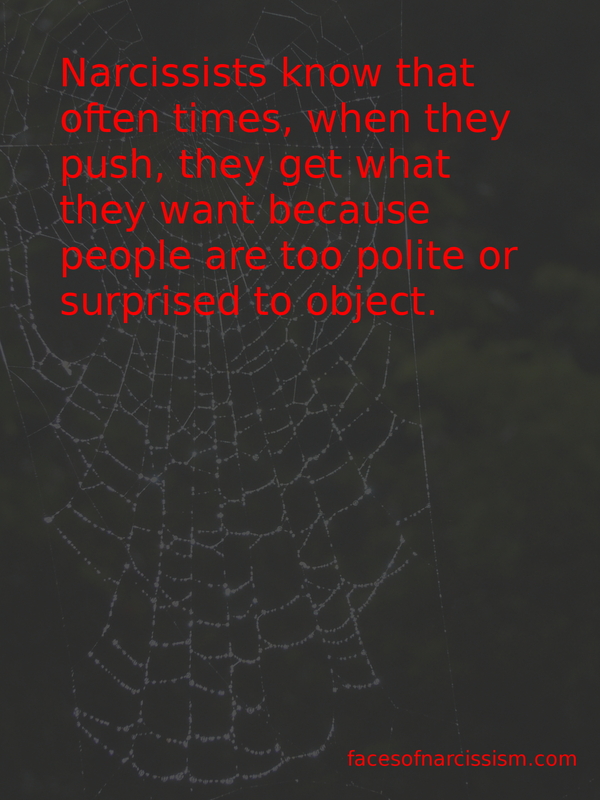 The self-esteem cult is a huge issue I think. I took a cultural psychology class comparing Eastern and Western cultures- a main difference being that Western cultures are so focussed on raising kids’ self-esteem, when many Eastern cultures don’t even have a direct translation for the concept. One of the studies was particularly enlightening: a group of teenagers from America, and another group from Japan were asked to rate themselves on different tasks (for ex. driving, drawing, listening, etc.) While the group from Japan had proportional, realistic answers, each participant from America almost always rated themselves as above average- this is not how averages work.. Interestingly, when you placed the Americans in front of a mirror, their answers became more realistic, whereas the Japanese answers did not change. Much of the studies in the course correlated findings like this with instances of depression and self-esteem’ issues in Western cultures. Here we tend to tell our children they can do anything, they are good at most things and, in turn, that they are somehow more special’ and important. When reality tells them differently- and society treats them differently- they are disappointed. What’s so bad about allowing our children to know that they are not better or deserve more than others? It would just make them more humble, caring people..no?